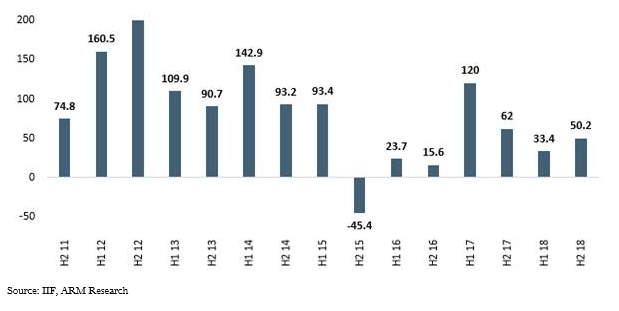 Yesterday, Flour Mills of Nigeria released its third quarter (FQ3 19) result for the period ended December 2019, which showed a 27.4% YoY contraction in EPS by 27.4% YoY to N0.69 following persisting pressure on margins from higher cost of sales (+7.3% YoY) and higher operating expense (+10.6% YoY). Accordingly, EPS over the first nine month of the year declined 40.4% to N1.93. Despite the downward adjustment to prices which started in FQ1 19, the company reported slight revenue growth in FQ3 19 (+1.4% YoY N130.9 billion) with management linking this to accelerated volumes growth in the period. According to management a sizeable chunk of the revenue growth emanated from the food segment following strong sales from Flour and Pasta products. Furthermore, the revenue growth was in-part fed by marginal growth in the Agro Allied and Support Services – driven by festivity related improved sales of edible oil and the bagging business respectively. However, reflecting the 21% YoY increase in global wheat prices over FQ3 19, raw material costs expanded 4% YoY – the largest constituent of COGS –with cost of sales coming higher by 7.3% YoY. Accordingly, gross margin contracted 480bps YoY to 11.1%. This in addition to higher operating expense over the period (+10.6% YoY to N6.9 billion) resulted in EBIT margin contraction by 530bps to 5.8%. 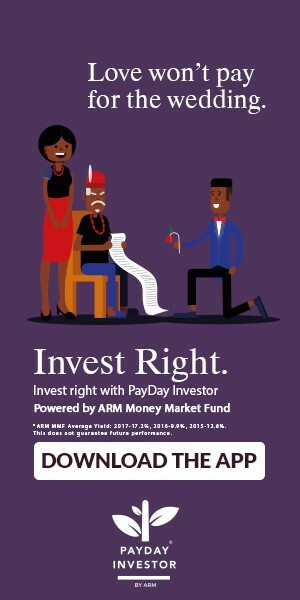 On the positive, following the rights issue proceed of N39 billion in FQ4 18, which was used to pay down expensive short-term borrowings, coupled with the successful completion of the first tranche of the N70billion bond program with N20 billion being raised with 3 and 5 years maturity at respective rates of 15.5% and 16%, compared to average rates on short term borrowings of 18% in FQ3 18, finance expense in FQ3 19 declined by 40.1% YoY to N5.3 billion. Notwithstanding the moderation in finance cost, the combination of weaker gross margin and higher operating expense translated to a 27.4% YoY decline in PAT to N2.8 billion. The key takeaway, as regards future performance, from our discussion with the management yesterday, was management’s plan to embark on corporate restructuring of the agro allied division to optimize investments and costs. The process has been initiated and expected to be concluded by end of the 2018/19. Flourmill trades at P/E and EV/EBITDA multiples of 8.78x and 3.81x compared to Bloomberg Middle East and Africa peers of 18.1x and 7.2x respectively.